WEST VALLEY CITY--Billie Ratcliffe, born January 5, 1945, passed away at home on January 7, 1999, after a long and courageous battle with cancer. Our sweet Billie Dean is survived by her husband, Delano, daughter, Enola, sons, Travis and Bartt, five sisters and one brother. 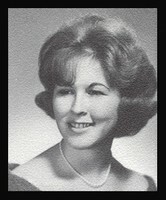 Billie Dean worked at U.E.A. for 20 years which she enjoyed so much. She will never be forgotten and always be in our hearts. Funeral services will be held on Tuesday January 12, 1999, at 1 p.m. at Valley View Funeral Home, 4335 West 4100 South, where friends may call Tuesday morning from 11:30 a.m. to 12:45 p.m. prior to the services. Interment, Valley View Memorial Park. Click here to see Billie's last Profile entry.